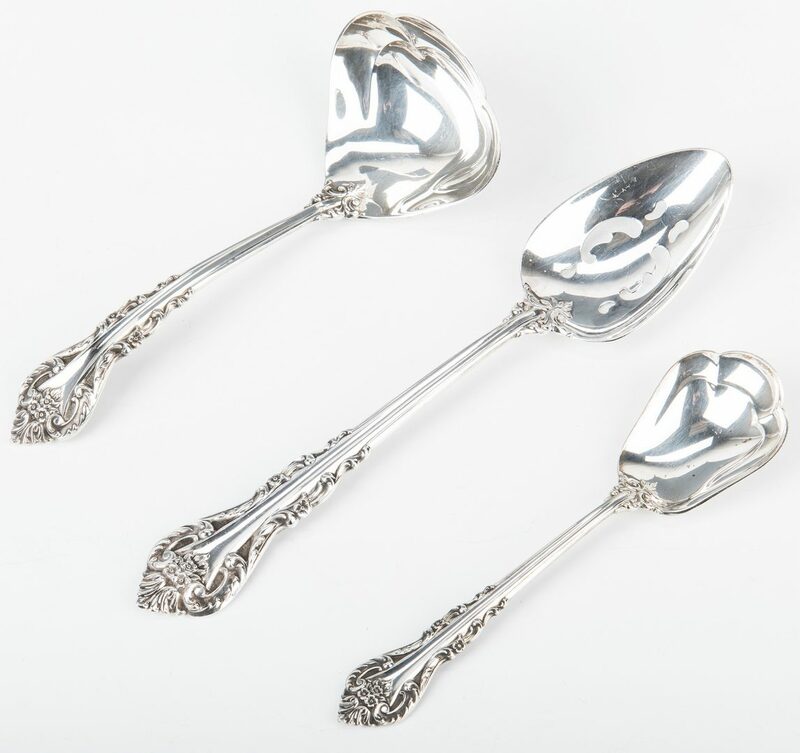 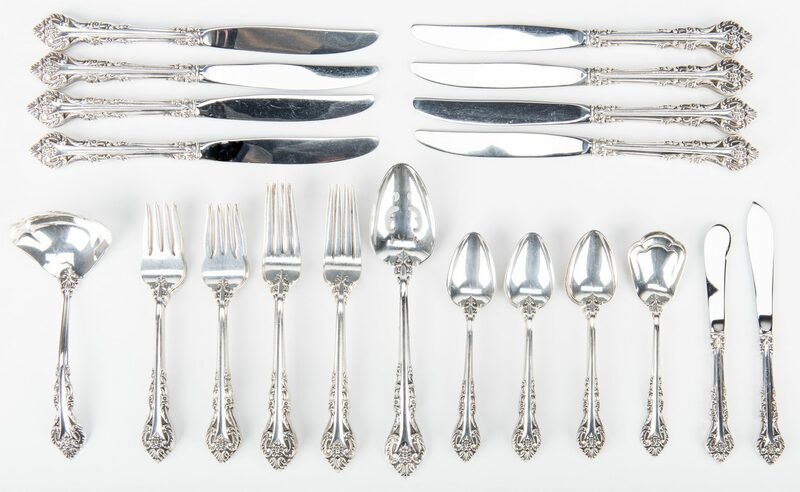 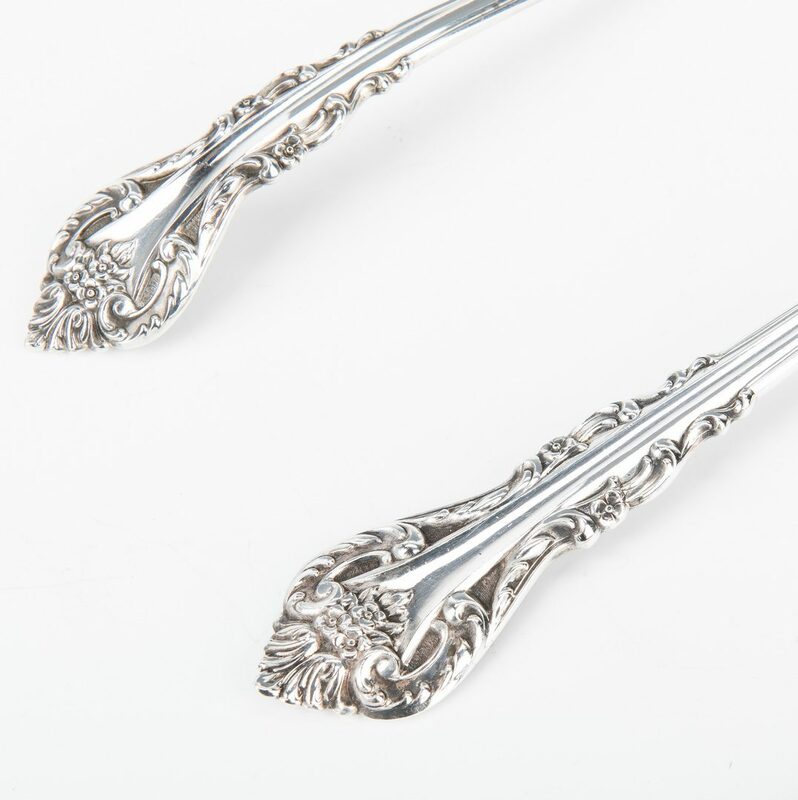 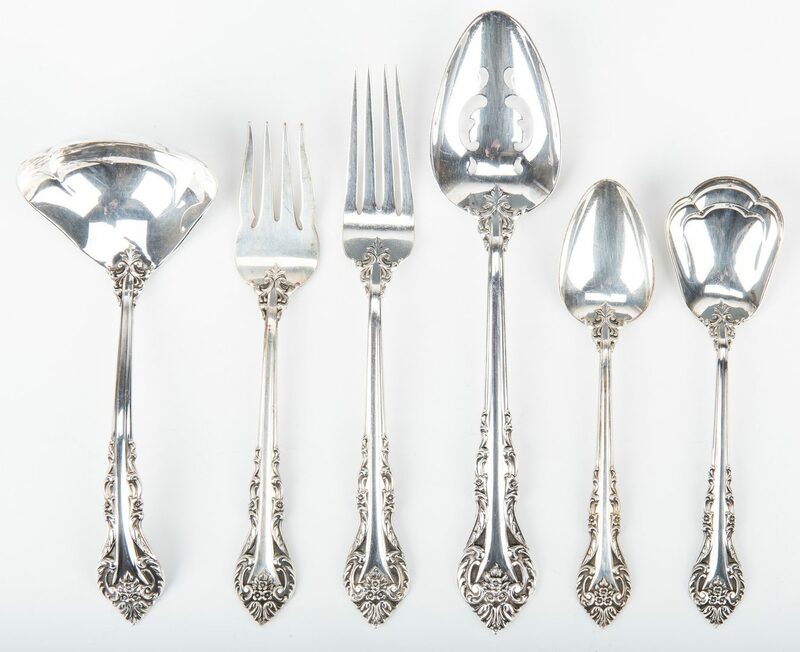 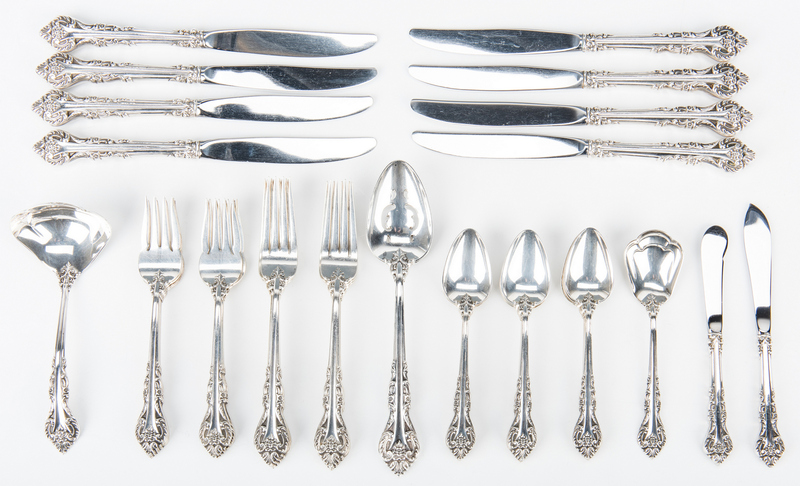 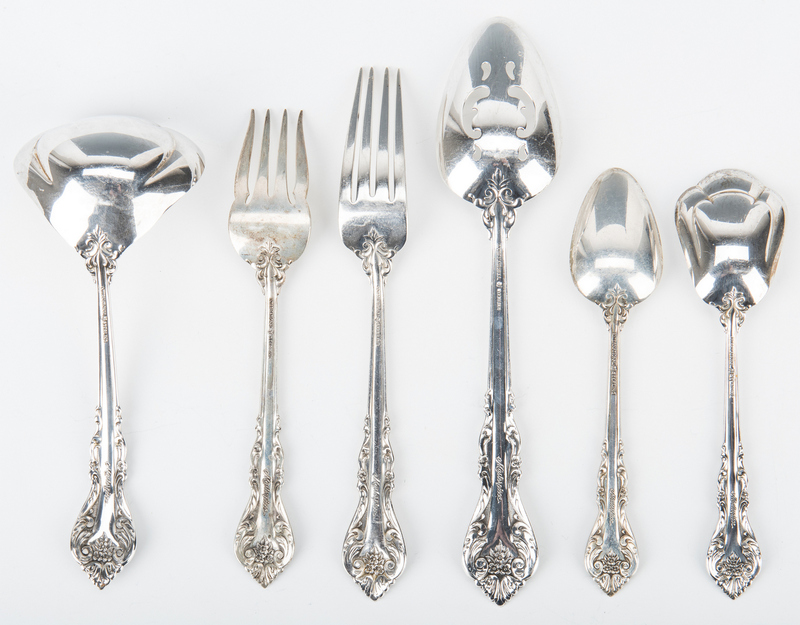 43 pieces of International sterling silver flatware, Masterpiece pattern, including 8 dinner knives, 8 dinner forks (7 1/2" L), 8 salad forks, 13 teaspoons, 2 pierced serving spoons, 1 ladle, 1 sugar spoon, 1 butter spreader (6 1/2" L), and 1 master butter knife (7" L). 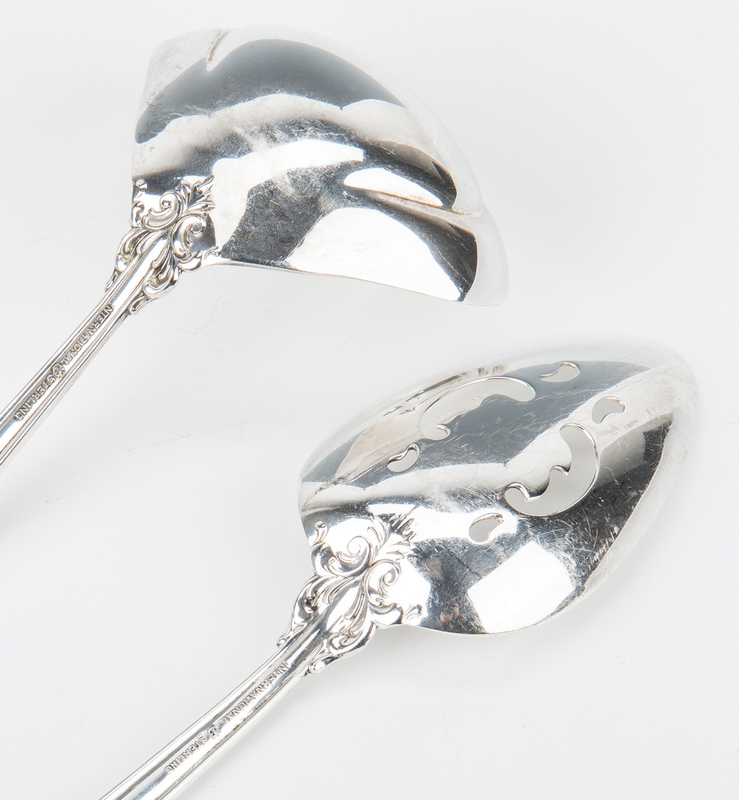 Not monogrammed. 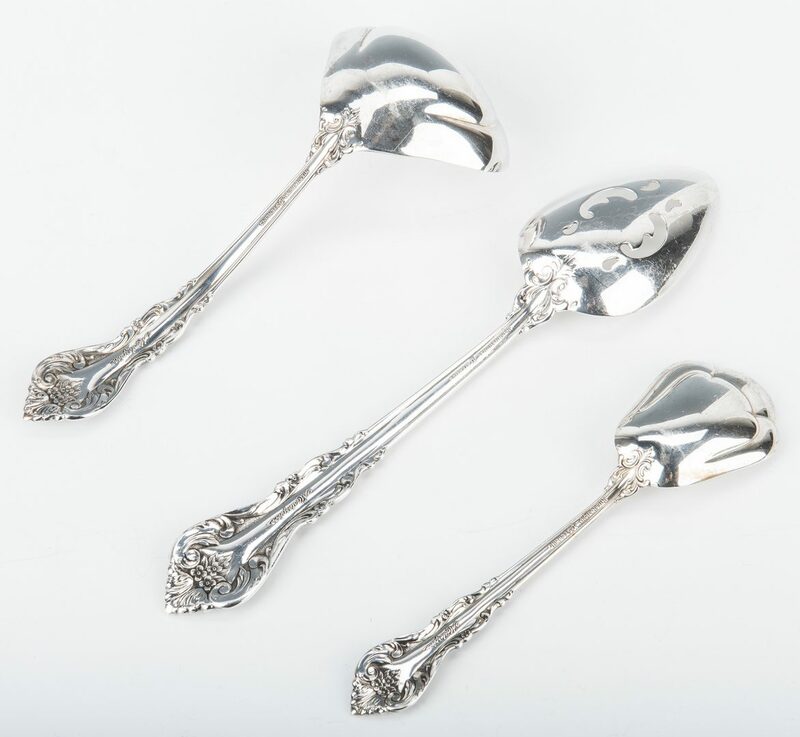 49.70 oz weighable troy ounces. CONDITION: Pieces overall good condition with general wear use, not monogrammed.